Prof. Jia Hao is an Assistant Professor in Finance at The Chinese University of Hong Kong (CUHK) Business School. Prior to joining in CUHK, Prof. Hao was a visiting professor in Ross School of Business, University of Michigan. Before her visit in Ross, she was an Assistant Professor of Finance in Wayne State University, where she received the “Distinguished Teacher Award” in 2010. 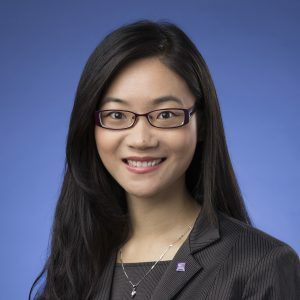 Prof. Hao earned her PhD in Finance from David Eccles School of Business, University of Utah. Her research focuses on market microstructure and its interaction with corporate finance and asset pricing. Her papers have been published in Journal of Finance, Review of Financial Studies, Journal of Financial Market, Financial Review, and Journal of Information System. Her works have been presented in major finance conferences such as Western Finance Association annual conference and Financial Management Association International annual conference, where her papers won the Best Paper Award in market microstructure in both 2011 and 2012. Hendrik Bessembinder, Jia Hao, and Kuncheng Zheng (2015), “Market Making Contracts, Firm Value, and the IPO Decision,” Journal of Finance, 70(5), 1997-2028. Pengjie Gao, Jia Hao, Ivalina Kalcheva, and Tongshu Ma (2015), “Short Sales and the Weekend Effect – Evidence from a Natural Experiment,” Journal of Financial Markets. Jia Hao, Avner Kalay, and Stewart Mayhew (2010), “Ex-dividend Arbitrage in Option Markets,” Review of Financial Studies, 23(1), 271-303. Laura Cardella, Jia Hao, Ivalina Kalcheva, and Yung-Yu Ma (2014), “Computerisation of the Equity, Foreign Exchange, Derivatives, and Fixed-Income Markets,” The Financial Review, 49(2), 231-243. Yu Cong, Jia Hao, and Lin Zou (2014), “The Impact of XBRL Reporting on Market Efficiency,” Journal of Information Systems, 28(2), 181-207.